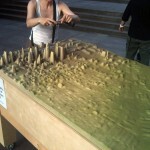 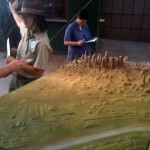 Topographical model of downtown Los Angeles and podium/display for the Los Angeles Urban Rangers’ Downtown Los Angeles Field Site. 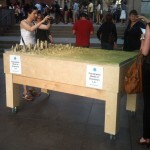 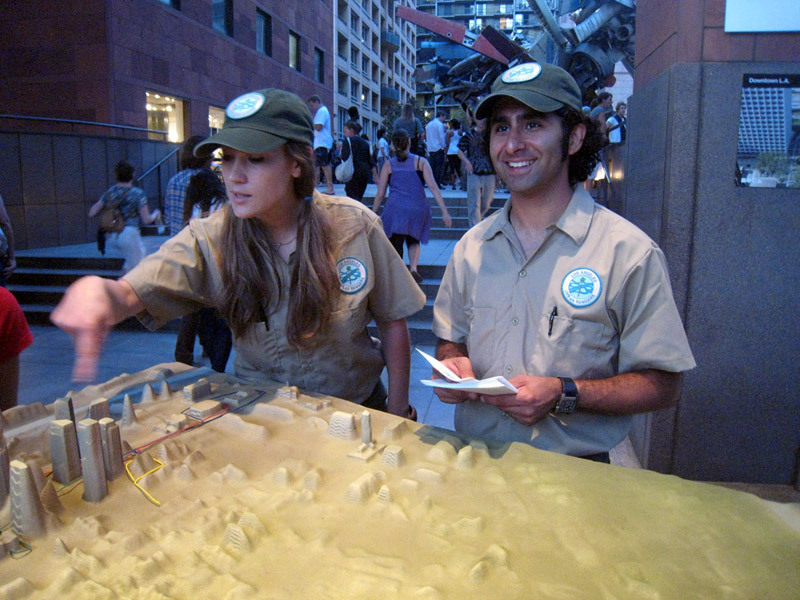 The Los Angeles Urban Rangers requested a topographical model for their field site of Downtown Los Angeles, along with a podium to display the model. 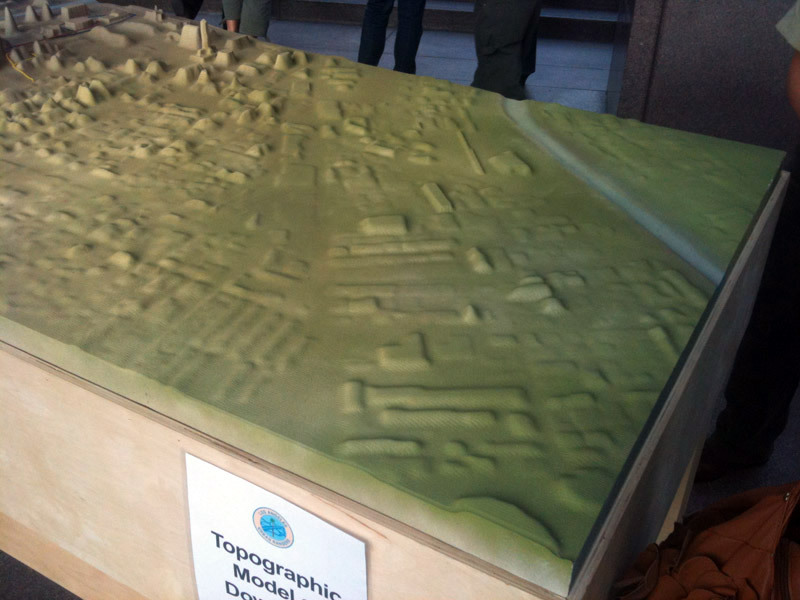 After extensive searching and data collection, we managed to gather an accurate 3D digital model of downtown Los Angeles along with accurate topographical measurements of the area. 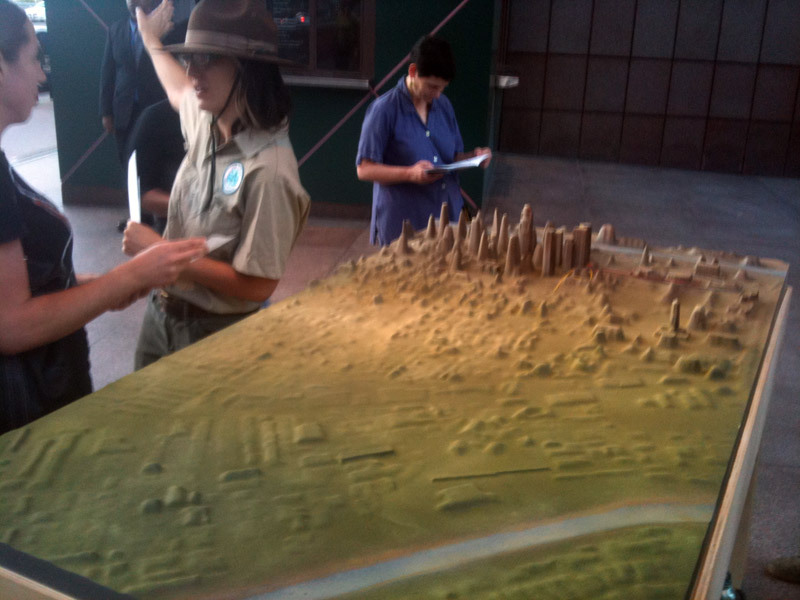 Building heights were corrected and we went about modifying the shapes of buildings to both present significant buildings as recognizable per their attributes while simultaneously depicting the built topography as a geographic landscape of mountains, valleys and canyons. 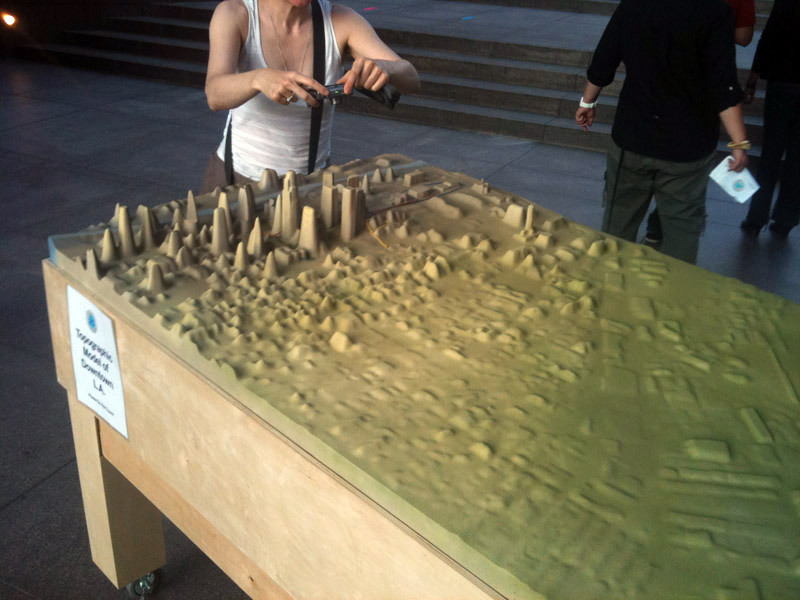 The digital model was CNC milled locally out of high density modeling foam and then carefully painted by Harvey Opgenorth and Nate Page. 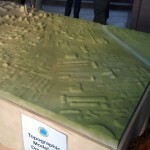 The model was then displayed atop the podium. 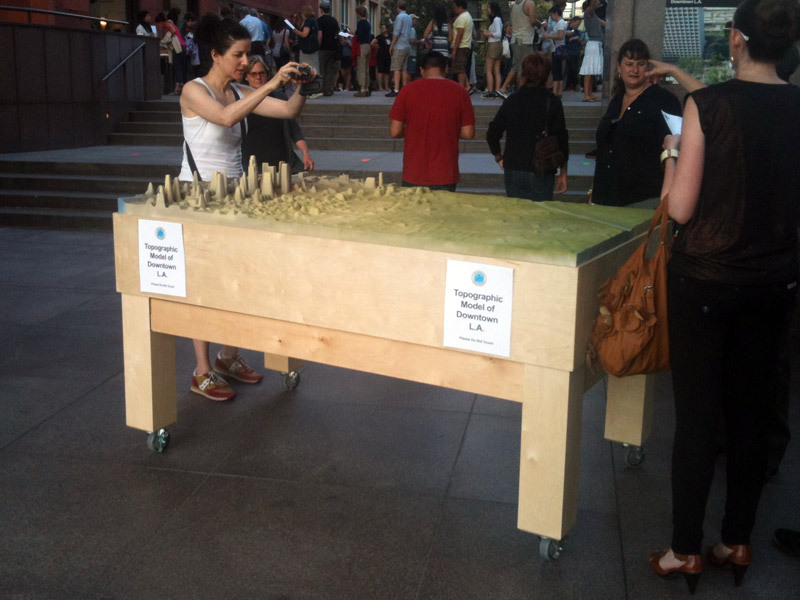 The podium which both displayed and contained the model was an exciting design challenge. 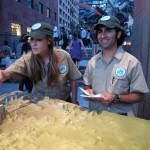 Per the request of Sara Daleiden of the LA Urban Rangers, the podium needed to be movable, collapsable for storage and international shipment, and within a tight budget. 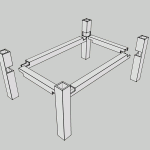 For the design of the podium, I developed a simple approach of tight construction and joinery that allowed for the podium to become incredibly stable once constructed yet easily collapsible. 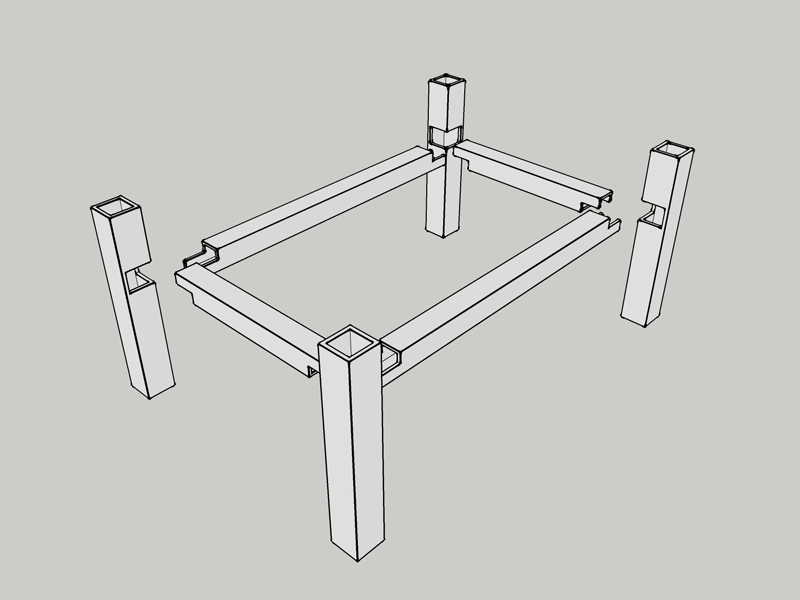 Because the possibility of international shipment was forecasted, I opted to avoid any fasteners, screws or bolts of any kind to bind the components of the podium together: over time and repeated use, the effectiveness of fasteners quickly dissipates and surrounding wood can become damaged. 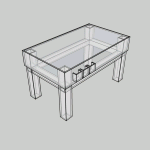 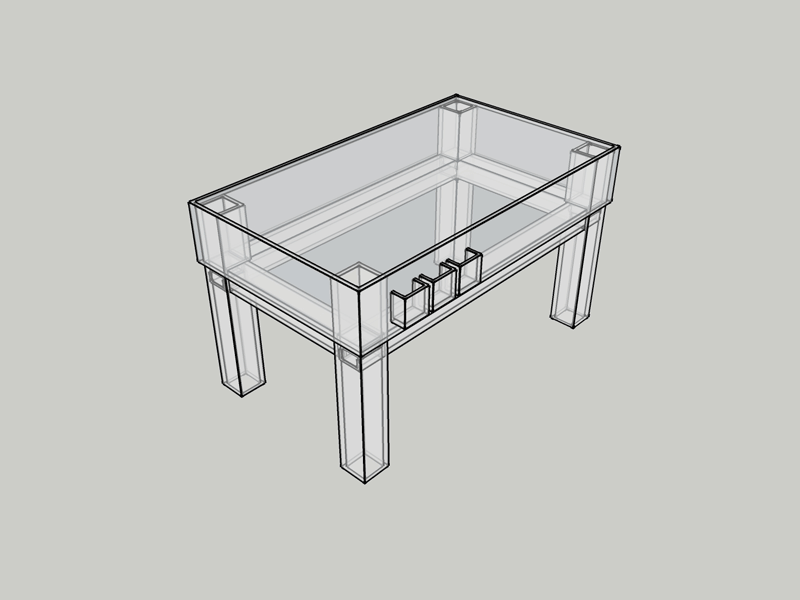 With precise measurements and design development, the components of the podium were designed to fit together in an interlocking fashion and when not in use store within the podium itself (for shipping or storage) along with the topographical model. 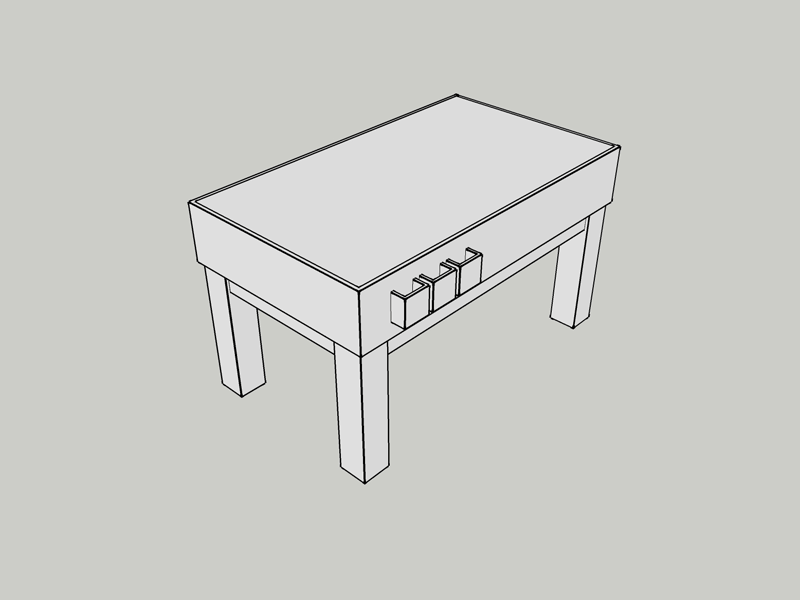 Brochure holders on the sides are easily placed and removed on an as needed basis. 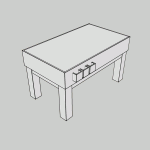 Jokingly the podium was called the “Derrida Podium” because, in a decontructionist perspective, without the podium component holding together the other components, there is no podium.